I adore Autumn and the relief of the long summer heat is just a small part of my favourite season. It is the glorious fall colour and the slow reveal of interlaced branches, the scent of woodsmoke in the evening and a cool chill in the early morning. 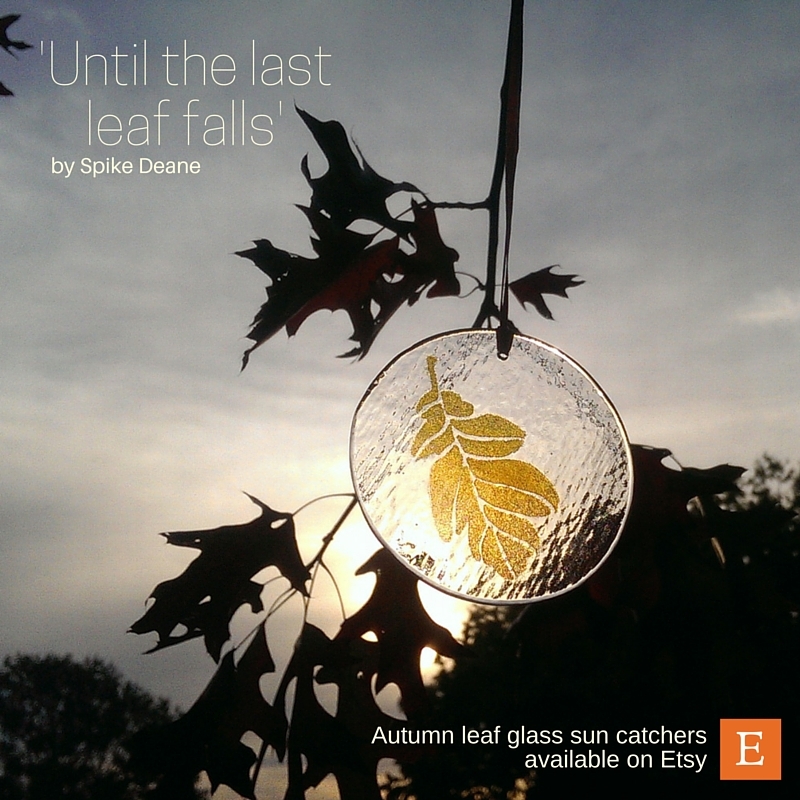 'Until the last leaf falls' are a range of glass Autumn leaf sun catcher's that transform pencil sketches into luminous glass. See my website for more details. There are 2 books I love to read in Autumn, both urban fantasies. One is 'The Autumn Castle' by Australian author Kim Wilkins, and that is where the title comes from. The enchantment in the story (that connects the land of faery to modern day Berlin) can only last 'Until the last leaf falls'. The other novel is 'Memory and Dream' by Canadian author Charles de Lint. One of the quotes included in this book captures my feelings perfectly about Autumn and Winter trees... that feeling of waiting and promise. PROCESS: The glass process is powder printing and fusing. I turn my sketches into a screen print and push the coloured glass powder through the screen. 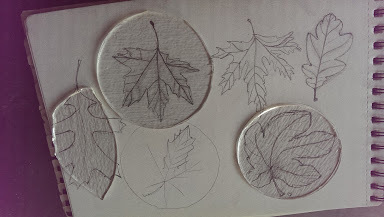 For the leaves I cut, drill and finish glass circles and use up to 6 different glass powders of varying Autumnal hues to create unique colour ways. After the circles are 'screen printed' I fire them to fuse the glass powder to the glass 'plate'.